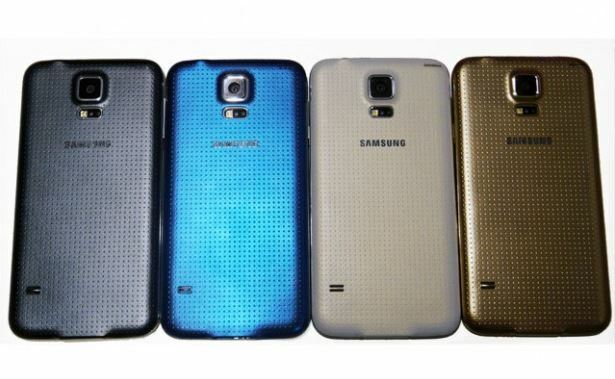 Will Samsung Galaxy Note 4 Feature Galaxy S5 Texture and Colors? Apparently so. A new Samsung Galaxy Note 4 colors leak suggest that Samsung will introduce the upcoming Note 4 in same colors options as it did with the Samsung Galaxy S5. This essentially means that Samsung Galaxy Note 4 will be available in charcoal black, shimmery white, copper gold, and electric blue. The Samsung Galaxy Note 4 colors leak comes from the trusted evleaks who is popular for almost always getting things right about the announced smartphones and gadgets. Samsung Galaxy Note 4 news and leaked details have been scarce lately due to an increased focus on Samsung Galaxy S5 Mini, Galaxy S5 Prime, and now Gear VR headset. However, as the hopes are starting to fade down about the Prime smartphone and with the release of Mini, more attention gears towards the the Samsung Galaxy Note 4 which is definitely going to come this fall. A recent bit about Samsung Gear virtual reality headset suggested that Samsung will launch Note 4 alongwith the VR headset at IFA, 2014 this September. Evan Blass of evleaks has indicated that Samsung Galaxy Note 4 will feature same color choices like the flagship Samsung Galaxy S5. Although, it is not known yet if Samsung will feature the popular perforated textured look of Samsung Galaxy S5 in the upcoming Note 4 or not, it is highly likely. Some sources also suggest that Samsung may introduce a newer design for the high-end larger display Note 4. Samsung Galaxy Note 4 is rumored to be a 5.7-inch Super AMOLDED display smartphone with 1440 x 2560 resolution. Samsung’s highly acclaimed phablet will be powered by a quad-core Snapdragon 805 or octa-core Exynos 5 Octa processor depending on the release regions; 3 GB of RAM; and a 16 MP ISOCELL rear-facing camera with OIS module and 4K video recording support – one leak indicated that it would keep 13MP camera which is highly unlikely after the S5 release. Following the SGS5 release, Note 4 is also expected to be water and dust resistant and equipped with a fingerprint sensor and heart rate monitor.